Insects appeared on our planet approximately 400 million years ago and managed to survive through all the natural disasters. Some of us think that they’re not very pleasant, but this is far from true. Don’t you believe us? Bright Side gathered for you photographs of wonderful creatures that look like they’re from another planet. A very unusual larva that can be confused with a moving crystal gives birth to a fluffy moth. It can be found in Central and South America and the Carribean. It feels very comfortable in the wet forests. This almost transparent butterfly also lives in Central and South America. Their wings don’t contain the bright coloration that is common among other types of butterflies, and their unusual appearance helps to disguise them more easily. 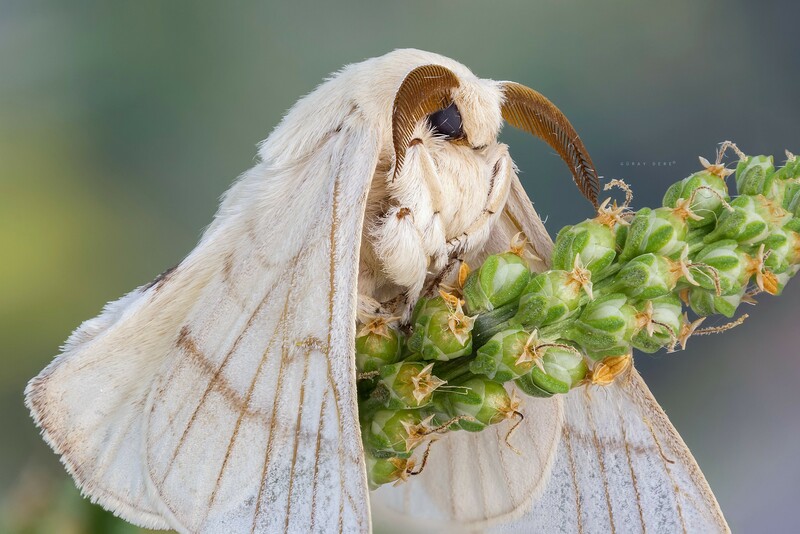 It is a very important creature and one of the earliest known butterflies related to the domestic silkmoth. Its larva has been used for thousands of years in the production of silk. Silkworms can’t fly and don’t eat (they rely on what the larvae consumed). Poor things. They can be found in China, East Asia, and the southern parts of the Primorsky territory in Russia. The golden tortoise beetle has a golden coloring (from gold to reddish-brown with black spots) and eats mainly the leaves of sweet potatoes. It inhabits the territory of both Americas. We wonder where it got this beautiful color from. This master of disguise can be found in the tropical forests of Indonesia and India. 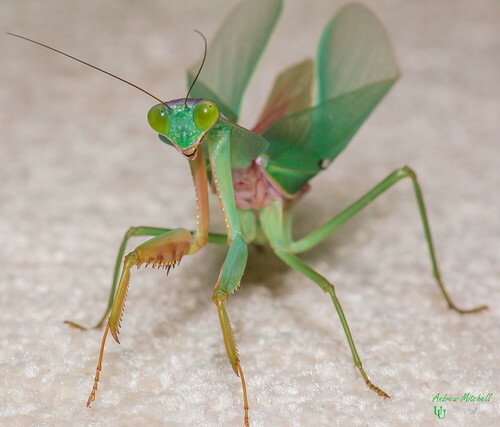 You can easily confuse this insect with an orchid flower because the mantis can change its color to match its surroundings. Its diet consists mainly of other insects. Well, we thought such a tender creature would eat only flower pollen. After some time, the moth turns into one of the biggest night butterflies in North America. The wingspan reaches 6 inches, while the caterpillar’s body is almost 4.5 inches. They’re the giants of the insect world. They feed on maple leaves and birch and cherry trees. What’s their secret? This owl butterfly is pretty big too (its wingspan is 7 inches) and can be found in the exotic Amazon jungle, China, the Philippines, Burma, and Russia. It loves to eat fruit, especially overripe bananas. People like to take them home and keep them as some kind of an exotic pet due to their unpretentious behavior. The creature is very ordinary (it’s of an average size, light in color, and a bit fluffy). However, its caterpillar is something interesting to look at. When it senses any danger, the front part of its body rises and becomes larger in size. The approaching enemy sees a huge head with an open mouth. What an intimidating defense mechanism! It can be found in Europe, Russia, Central Asia, and Africa. The rosy maple moth has an amazing color. It’s quite small but very nice. Its caterpillars usually eat maple juice, unlike the butterflies who don’t eat at all. You can meet such a beauty in North America and Canada. Oddly enough, despite its color, this butterfly is very active during the night. 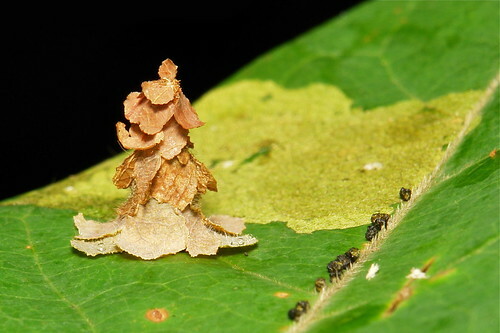 Bagworm moths are a family of lepidopterans. They can be found almost everywhere. 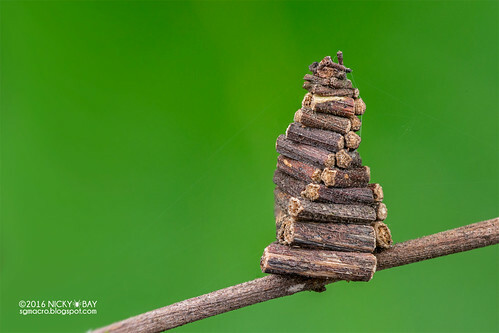 They can build amazing "houses" from different kinds of material that they find nearby: sticks, soil, sand, and even silk. Then bagworms hide inside and feel pretty comfortable. By the way, the size of their shelter might reach 5 inches. The praying mantis inhabits the territories of Indonesia, Malaysia, Thailand, and Borneo. Despite its aggressive behavior and great appetite, people love to bring them home as a pet. Its mesmerizing beauty compensates for everything. 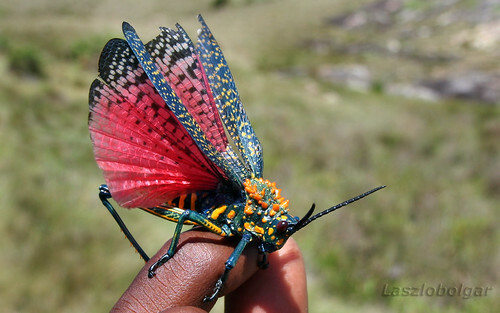 The multicolored grasshopper can be found in Madagascar, and it’s very dangerous. For the sake of protection from any danger, the grasshopper eats poisonous plants and consumes their venom. As a result, the insect becomes very dangerous to anyone who tries to eat it. The size of a male insect can reach 4 inches. No, guys, it’s not a piece of jello. 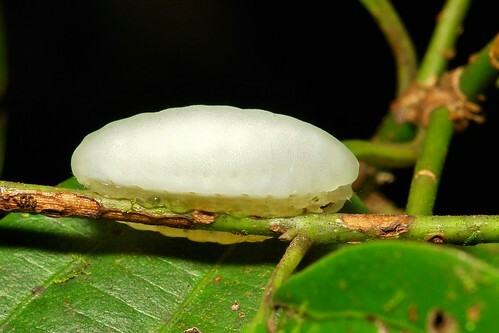 However, the caterpillar looks like one because it doesn’t have prolegs and has to use almost transparent suckers to move. They create wave-like movements and produce a lot of lubricant, a kind of liquefied silk, to reduce the friction. They can be found mainly in tropical regions. Bonus: Jumping spider Maratus. It’s not an insect, but he’s amazing too. The jumping spiders of the family Salticidae are also called peacock spiders due to the bright colors of their bodies. Some male spiders create the expansion of their flaps to attract a female partner. They live in Australia. Have you ever met any of these creatures? Or maybe you saw a species we haven’t mentioned here. Share your exotic experience in the comments.